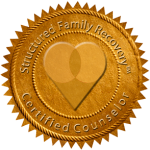 Intervention Associates, PLLC, was founded in 2016 by Tamara James, M.S., LMFT, CIP, GC-C The mission of Intervention Associates (IA) is to understand how you are experiencing your life and relationships. Our goal is to identify and then Intervene in the areas and issues restricting your ability to thrive. IA works with clients to understand what is occurring within the context of relationships. This approach allows us to collaboratively identify the issues that need to be resolved for all to grow and achieve their highest potential.